Why shouldn’t you hold your next reunion at a drop-dead gorgeous estate with your own staff to cook, clean and provide transportation? While we’re at it, let’s put that estate or villa in Jamaica, a lovely Caribbean island that boasts sugar sand beaches, rich culture and friendly people. The cherry atop this fantasy is that the reunion is affordable. You’re not dreaming and I haven’t been smoking anything. 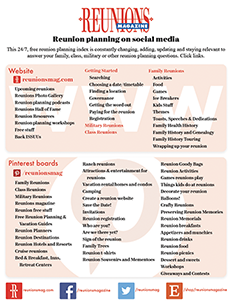 Villas by Linda Smith can make your ideal reunion come true. Why is a Jamaica villa the perfect venue for family reunions? “First, you can tailor accommodations to any size you wish,” explained Linda Smith, President and CEO of Villas by Linda Smith headquartered in Cabin John, Maryland. “Reserve a three-bedroom villa for a small family; a collection of neighboring villas for a larger family; or even a 15-bedroom plantation on 2,000 acres with stables, trails, tennis and its own river. No family is too small or too large.” Most Villas by Linda Smith (www.jamaicavillas.com) are on the island’s north coast, 12 miles from the Montego Bay airport. A few others are sprinkled throughout the shores of Ocho Rios, Runaway Bay and Discovery Bay. Good Hope, that 18th century sugar plantation, is surrounded by rivers in the lush countryside of Trelawny, with 15 available bedrooms in various buildings, trails for horseback riding, a yoga studio and flocks of exotic birds flying overhead. Jonathan Letzler of Atlanta, Georgia, gave the villa reunion idea a whirl after seeing an ad in a travel magazine. He has been holding his three-generation family reunions, about 18 people each year, in two of Smith’s sister houses in Jamaica for the past half-dozen years. They’re not always the same two properties so the Letzlers enjoy varied experiences. “The villa reunion allows us to have the whole extended family stay and eat together,” Letzler explained. “We tried reunions at large resorts which did not work as well. When the small children went to bed, an adult had to go to the room as well. Meals were a nightmare. While meal plans were available, try having small children sit still in a restaurant for hours while we get served. At villas, the staff is accommodating and allows for separate or together meals. Children can play when they’re done. And the food was great!” Initially, Letzler was concerned about safety and whether the staff would be friendly. “Staffs have been great and safety not an issue as long as you take normal precautions. We look forward to getting together and relaxing in a beautiful place because the staff takes care of everything,” he said. The Letzlers favorite reunion activity is tennis and everyone, from the 88-year-old patriarch to a 7-year- old daughter, plays in regular matches on villa courts. It seems once families try a villa reunion, they want to duplicate the “there’s no place like home” feeling year after year. Kansas City native William Shapiro discovered “Serenity,” one of Smith’s villas, about eight years ago and his family has reunited there every year. “The absolute ease and luxury of the experience sets villa vacations apart from other gatherings,“ Shapiro noted. “The warmth and efficiency of the staff really sets the tone and because the staff remains the same they have really become old dear friends whose company is a real positive addition to the beautiful surroundings, glorious weather and mellow vibe.” Indeed, Jamaica’s ultra-relaxed atmosphere and the intoxicatingly beautiful flowers set among the deepest green foliage and the blue Caribbean ensure Technicolor dreams. You’ll wonder if the birds realize their luck at living in Jamaica, rather than, say, Pittsburgh. They must, because their songs are infinite. Smith affirms that “time” is exactly what the Jamaican villa family reunion is about: time to visit, read, nap, watch videos, play with the kids and talk to grandparents without an eye on the clock. “I think my favorite quote from a returning client trying to express the absence of stress and responsibility was: “Don’t just sit there: do nothing!” What if some family members need activity to relax? 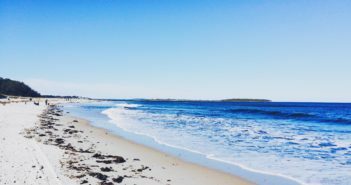 “Jogging trails, tennis courts, world-class golf courses, windsurfing, deep sea fishing and scuba dives abound,” Smith said. “Some villas have their own private tennis courts and some have fitness equipment, too. Every villa has its own private pool.” For kids, the villa experience offers a team of nannies for infants and toddlers, various kids’ clubs at resorts for preteens, horseback riding, water sports and beaches for teenagers. How much does this reunion nirvana cost? The real economy kicks in when several families share a villa. Smith gave an example of a recent group of 13 who shared a six and half bedroom house. The rate came to about $53 per person per night for a 7000 square foot private villa and staff of five. Food costs ran about $30 per day per adult (less for kids), which is easy to take, when you see the quality and volume of meals. Don’t worry — your cook will gladly serve macaroni and cheese to the kidlets early, and reserve the hours after sunset for your own adult candlelight feasts. And yes, regardless of how many in your family, they can arrange it so everyone dines together around one large pool or verandah for lunches and dinners. From infants to seniors, a reunion in a staffed Jamaican villa simply works. When you take a cyber trip through www.jamaicavillas.com, know that what you see online, from stunning views to luxurious digs, is truly what you get. Call Villas by Linda Smith at 301-229-4300.